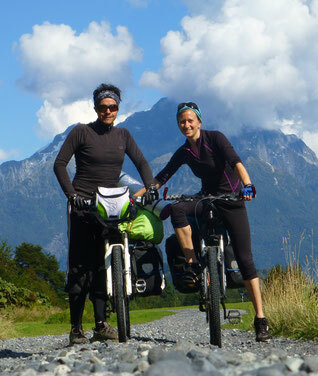 We created this website to share our experiences with fellow cyclists and travelers who would like to explore bike touring but might just not quite know how and where to begin. If we managed to inspire you, be of help, or maybe simply make you smile a few times while reading our texts, we would like to hear from you. Also, if you have suggestions regarding our pages or want to share your own bike trip experiences, we'll be happy to receive your email.